For the first time in more than 40 years, experience two of the greatest actors of our time in one of the most honored motion pictures in history. 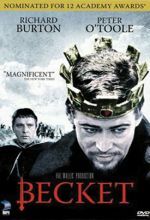 Peter O'Toole delivers an electrifying performance as the mischievous Henry II, who surprises England by naming his fellow rogue and trusted confidant Thomas Becket (Richard Burton in a career defining role) as Chancellor. But when Henry next appoints him Archbishop Of Canterbury, Becket shocks the world by openly defying the King with his new found faith and compassion. Will a desperate ruler now destroy a beloved friend to save his splintering kingdom? John Gielgud co-stars in this stunning epic based on the Broadway sensation and brought to the screen by Hal Wallis, the legendary producer of True Grit and Casablanca. Once thought lost forever, Becket has been been restored to its original majesty and transferred in breathtaking HD with the support of the Film Foundation and the Academy of Motion Picture Arts and Sciences. Very educational. 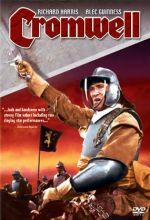 Worth watching several times as it is one of those historical stories that everyone should know in their church history repertoire. Richard Burton is excellent as the transformed priest. Adults only I would say.